The Town & Railroad museums are curated and operated by one Alberton's remarkable women. Her schedule varies and is most often open in the summer. Railroad Day -- third Saturday in July -- is a good time to visit the museum!. Learn more. 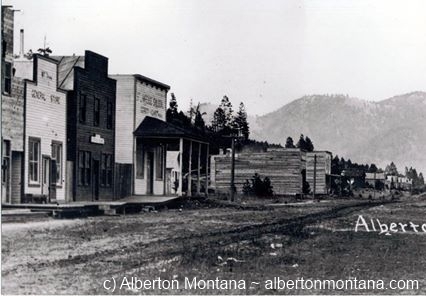 Alberton Montana was founded as a Railroad Town. And we have much of our history housed in two museums -- one an authentic boxcar. Both are open to the public free of charge, though donations are always welcome. Established more than 100 years ago -- a good day's ride from the trading town of Missoula, Montana -- Alberton was built to serve as "terminal station" for the Milwaukee Railroad. 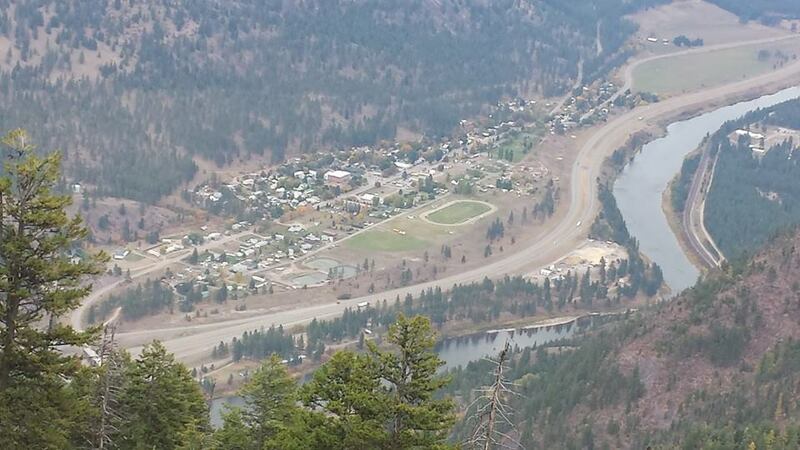 Alberton Montana was originally called Browntown. 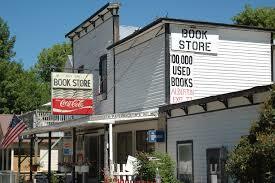 Locals & visitors love Alberton's Historic Book Store. America's Frontier West lives on in our architecture. The "false front" buildings common to young towns still exists on Railroad Avenue, Alberton's main street. The Milwaukee Depot, a Registered Historic Place, still serves our Community. 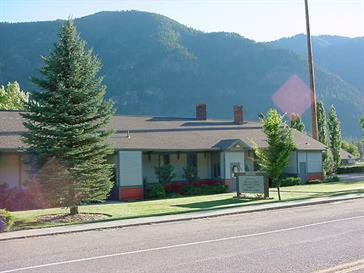 We hold Town Council Meetings, Senior Luncheons & Community Theater there. Plus, it contains the Public Branch Library. 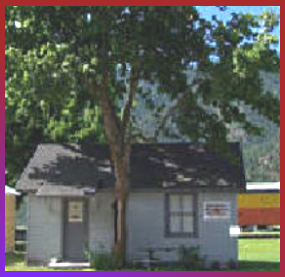 The historic train depot is now our Community Center. Milwaukee Railroad was the third to cross the country. Our railroading past also remains imprinted in our tiny town, though the railroad tracks and overhead lines of what became America's first electrified, transcontinental railroad are long gone. In 1907, the President of the Milwaukee Railroad was on a quest for a route across North America to the Pacific Coast. It was Albert J. Earling who chose the north bank of the Clark Fork River west of Missoula. At the time, two families were homesteading here in what is now Alberton, Montana: Henry and Catherine Brown, who had been working this narrow bench land since 1891, and Amadie and Phoebe Agnes Poirier, who began homesteading in 1899. A TRAIN RAN THROUGH IT. 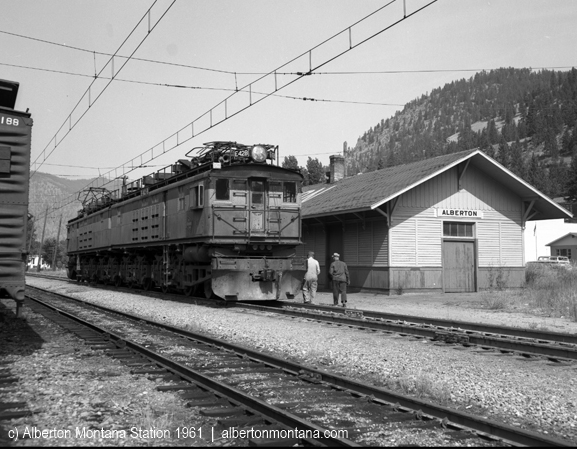 The Nation's 1st Electrified Train (above pic) stopped for crew change in Alberton Montana. Alberton's Railroad Museum is in an authenic boxcar. Behind our Town Museum, a Milwaukee Railroad Boxcar contains our Railroad Museum. Its companion is a sweet Caboose that looks the same inside as it did when it last rode the rails ! Sit inside a train caboose during Railroad Days. All ages enjoy trains. Plus, the Antique Depot on the west end of town has Model Trains on display; it was the former Train Depot in nearby Frenchtown. Stop by Alberton today and enjoy our history with modern conveniences !